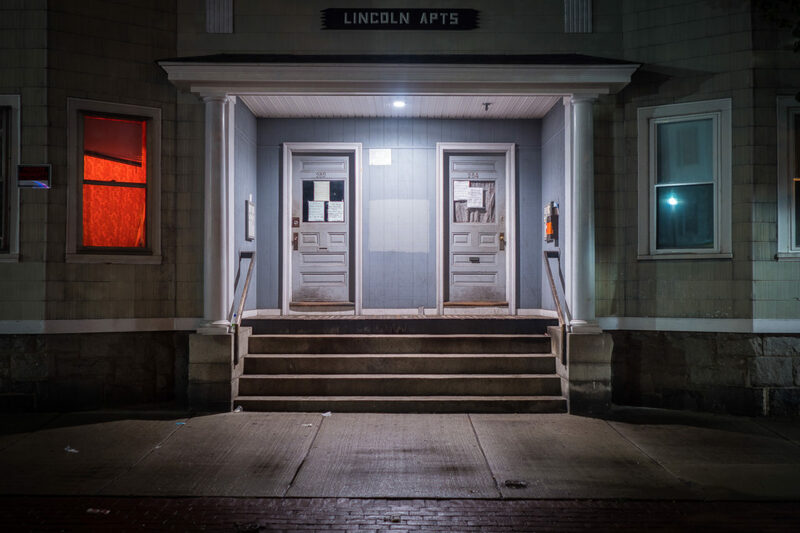 The challenge to capture an image a day often has me driving through the city of Lawrence after dark looking for something to capture. And that is a good thing. I drove past a couple of store fronts tonight and pulled over with the intention of walking down the street to photograph them. I didn’t get ten feet past my car when I saw this doorway. Great shot Bob, love that red window….sultry, see you within a few hours!